It’s tough to count out the aging quarterback. We’ve heard plenty already this season about Tom Brady’s ability to shake off Father Time. Even more impressive, though, may be Drew Brees. Brees tallied the most fantasy points among quarterbacks in week 9, with four touchdowns, more than 340 yards and no touchdowns against the Los Angeles Rams. His completion percentage has been ridiculous this season, along with his ability to not turn the ball over. He has an 18-to-1 touchdown-to-interception ratio and the Saints offense doesn’t appear to be slowing down anytime soon. Beyond even this year, Brees looks to to be a quarterback to count on in future fantasy football drafts. He’s matchup-proof once again. For those who aren’t matchup-proof, here’s the week 10 fantasy football start ’em, sit ’em guide for quarterbacks. We’ve come close to the point where Rivers is matchup-proof. Suffering through Rivers’ up and down seasons had soured me on drafting Rivers. This year, he’s been far from inconsistent. He has multiple touchdowns in each game this season and he only has three interceptions, something that has haunted him in the past. The Chargers offense is humming, and a rebuilt offensive line is paying dividends for Rivers and company. 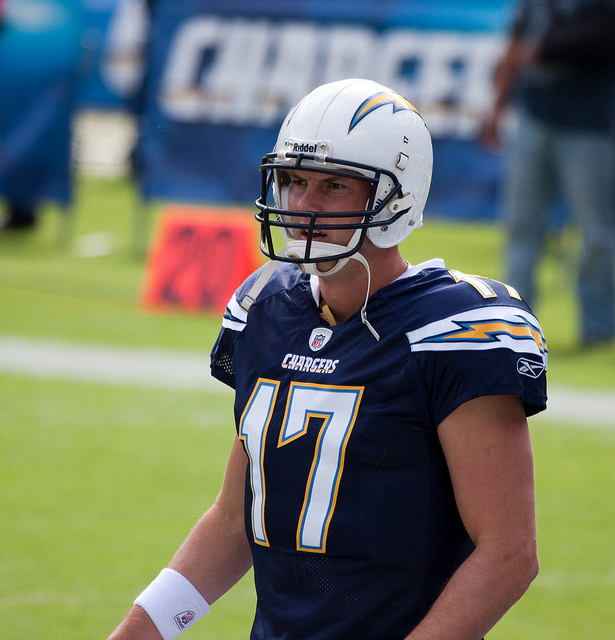 I’d rank Rivers as a top-three quarterback in week 10 against an Oakland team that has quit on this season. The Raiders have been atrocious in recent weeks against the pass, giving up 9.4 yards per pass attempt in the last three games. Rivers should have an easy time slicing through this defense. Washington’s injuries are concerning, especially in a road game against an offense that his high-powered. The Redskins’ injury report is getting longer by the week and three players were just ruled out for the season after week 9. The biggest losses have comeon offense, but I worry about the attitude of the Redskins. That’s something that could affect both sides of the ball, which would be problematic against a Tampa Bay team that can score on almost anyone. Fitzpatrick has been his regular self in recent weeks, with some interceptions, mixed in with some touchdowns. He’ll push the ball down the field and will generate yards and touchdowns. He’s a bit scary with this tendency to throw interceptions, but he should have success against a defense that is allowing the fourth-most fantasy points per game to quarterbacks in the last four games. Trust Fitzpatrick, especially with more byes on the horizon in week 10. Detroit has reverted back to what we believed they would after week 1. The NFL season has plenty of peaks and valleys and the Lions are very accustomed to that this season. The Lions were embarrassed in week 1, but generated some momentum a few weeks later, and looked like a team that could compete for the NFC North title. Now, they’re back to what we thought they were, especially after getting rid of Matthew Stafford’s security blanket in Golden Tate. It’s not just the offense that is having some difficulties. The Lions are allowing the second-most fantasy points per game to quarterbacks in the last four weeks. Since week 6, Trubisky has at least two touchdowns in every game but last week, when the Bears didn’t need him. Trubisky should have no trouble getting through Detroit’s defense. This is tempting, since Tampa Bay is terrible against the pass. The Buccaneers are allowing 8.4 yards per pass attempt, the third-worst mark in the NFL. They’re also allowing the most fantasy points per game to quarterbacks. However, as mentioned before, I’m worried about Washington’s injury woes. The injuries have been bad all season and they only got worse in week 9. The offensive line is in shambles, which should completely sideline its running game. And without a running game, Smith is not effective. You can hope for a shootout, but I wouldn’t trust Smith with the injuries mounting. The loss of Tate will have lasting implications for Stafford’s fantasy prowess. Tate was a player Stafford eyed when he got into trouble. Just look at week 9 for information on what to expect in future weeks. Stafford was sacked consistently. The offensive line has not been good enough to compete on a regular basis, but I still believe the loss of Tate is affecting Stafford and this offense. And the matchups don’t get any easier for the Lions. In back-to-back road games, Stafford will now have to face a Bears team that allows the fourth-fewest yards per pass attempt in the NFL at 6.4. In the last three games, that number has shrank to 5.2. This is not a good matchup for Stafford, so I’d avoid him if possible. Another seemingly plus-matchup doesn’t seem so great. New Orleans hasn’t been great against the pass this season, especially during week 9’s victory against the Los Angeles Rams. Jared Goff generated the second-most fantasy points among quarterbacks in week 9. But, the Saints are still showing a little improvement in the secondary in recent weeks, with most of the damage being done later in games. Dalton hasn’t been able to garner consistently high yardage totals, with his week 8 showing being the first time he’s gone for more than 250 yards passing since week 4. Dalton has been a touchdown-dependent quarterback, so it’s tough to trust, even in a plus-matchup against New Orleans.